Facebook Director of Product Blake Ross is leaving the company, he announced in a Facebook post yesterday afternoon. For those of you who weren’t reading TechCrunch in 2007, Firefox co-founder Ross and Joe Hewitt came to Facebook through its acquisition of Parakey, a web OS that was still in stealth at the time. Parakey was Facebook’s first acquisition. Hewitt, who spearheaded many Facebook Mobile projects including iOS, left the company in 2011. Ross worked on many projects at Facebook in his six years there, starting out as an engineer, founding the growth team with Chamath Palihapitiya and others, and even cycling through Facebook Questions. He started out as an engineer and moved his way up to a Product Manager and then Director of Product role. Hey everyone, I’ve decided to leave Facebook. I’m so grateful that I’ve had the opportunity to learn from and grow with you. I’m leaving because a Forbes writer asked his son’s best friend Todd if Facebook was still cool and the friend said no, and plus none of HIS friends think so either, even Leila who used to love it, and this journalism made me reconsider the long-term viability of the company. Also because, after scaling a website in a dorm room to a platform connecting a billion people in 196 countries through revolutionary high-efficiency auto-cooling datacenters, you guys will probably never figure out how to sell a Quiznos turkey club on a phone. In all seriousness, even after switching to part-time at Facebook, it’s just time for me to try new things. 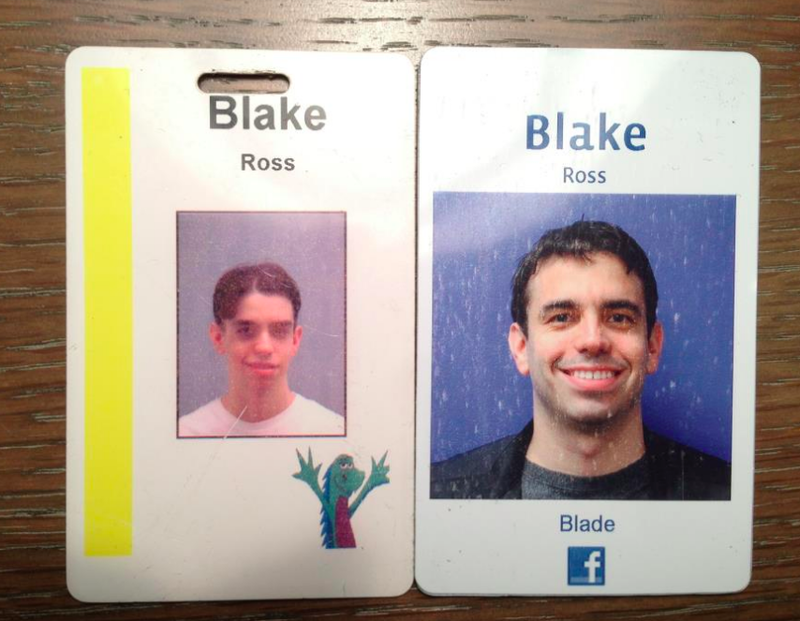 I was 14 when I came to the Bay Area to work at Netscape (socially stunted badge pic below). That’s half my life building software in a 10-mile area of Northern California—a rather long stretch considering I spent the first half of my life learning disciplines as varied as standing up, eating, and getting Bar Mitzvahed. My parting advice: Cherish the launch days. To be surrounded by such bright people, brimming with optimism, forgetting to eat, is a blessing. It’s the kind of manic hopefulness that adulthood is supposed to drain out of you, and I will miss it most. Launch day is also a great day for Legal to find out what you’re launching. We’ve reached out to both Facebook and Ross for official confirmation, and will update this post when we hear back. There’s also no word on what “new things” Ross will be trying after his stint at the social network. Also, if anyone is wondering why there’s a “Blade” at the bottom of his Facebook badge, it’s a pretty funny inside joke.